I admit it. I have never played a Tomb Raider game. I have never had any interest in playing a Tomb Raider game. I’m surprised that I want to play this Tomb Raider game. Okay, I lied a little bit. I did try to play Tomb Raider: Underworld. I got up to the part where you swim down to the underwater cave, past the shark. Yeah, that’s right, the part right at the beginning. I don’t know if it was the game’s fault or if it was my sucking at it, but I couldn’t get Lara Croft to jump off of one rocky surface to the other. That’s when I stopped playing. Yep. A mere 5 minutes in. 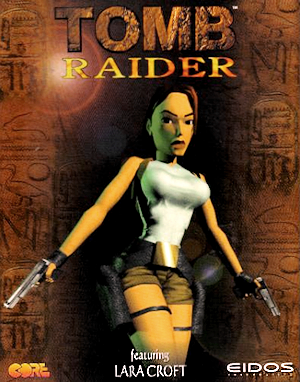 To me, Tomb Raider was something the kid I sat next to in Mr. “I forget his name’s” science class would play. The kid who loved Playstation, anime and burning things. Three things I didn’t really care for at the time. I had a picture in of his bedroom in my head. A Single bed in the corner with some anime character on the quilt cover and pillow case, a computer on a desk in the corner with videogame and manga(pronounced MUN-GA and not MAN-GA, he would always tell me) magazines in the corner, A poster of the classic image of the blocky Lara Croft, ripped out from one of those magazines tacked up on the wall. It was 1998 and that kinda stuff didn’t really appeal to me. I was more Nintendo, Pokemon (cartoon) and Metal. Nice combination. Now that I am a more “mature” gamer, I enjoy all consoles, including PC, which has exponentially grown my appetite for a wide array of games and genres. Without knowing the history of Tomb Raider and the game’s heroine, I can accept this new game in the series as something that is different to the previous titles and more akin to a modern day adventure survival game. My first thought upon seeing footage for Tomb Raider, as was probably most people, was “DAAAYUM! That look like Uncharted!” This is definitely a good thing, as the games in the Uncharted series are by far my favourite titles on the Playstation 3. As the trailer been shown off continued, I couldn’t help but think that the game was trying too hard to be like Uncharted. Lots of pre-scripted events and Lara constantly talking to herself in that Nathan Drake kind of way… It started to worry me that Tomb Raider might be a sub-par attempt at being a game similar to Uncharted, which was a refined version of (what I’m told) the Tomb Raider series proclaims itself to be: A survival, exploration adventure game. Thankfully this does not look to be the case. From the previews seen so far, Tomb Raider is looking to be a fleshed out adventure balancing exploration, combat and puzzles quite well, while fleshing out an engaging narrative into the origins of Lara Croft. IGN has said that if you like the freedom to explore a massive world that opens up more as your items improve like in Metroid, if you enjoy intense shoot-outs, treasure hunting, relic pillaging, ruin climbing and highly scripted set pieces like in Uncharted and if you enjoy gruesome kills, weapon upgrades, insane cults and quicktime events like in Resident Evil 4 then you will Love Tomb Raider. Two outta three ain’t bad. I enjoy the Metroid games (at least what I’ve played before giving up in sucking induced failure) and I love Uncharted. Unfortunately I have never been good at (surprise, surprise) or really enjoyed a Resident Evil game. This worries me a tad because I don’t care for over the top or realistic kills. Weapons upgrades often confuse me, unless it’s something automatic. Frankly I could take or leave quicktime events. With this in mind, Tomb Raider is still looking to be one hell of a game that has many traits in common with some games I enjoy greatly. Early reviews are positive too. Come March 5th, I look forward to sucking a Tomb Raider and hopefully I can stick to it and finish the game. Look out for my video review in the coming weeks. I’m sure it will be full of suckiness.